Rod Dreher, a self-declared "American Conservative," was profiled in The New Yorker in May, 2017. That is when I became aware of Dreher's blog, which is apparently followed by something like 200,000 people. On September 20th, Dreher posted a long reflection on the state of our present-day society, economy, and politics, with the following title: "This Crisis? It’s Nothing." I'll include an excerpt, below, so you can read some of Dreher's thoughts without having to track down the original. He ends up concluding that, "compared to 1968-73, today is a total cakewalk." While I agree that the years from 1968 to 1973 were filled with all sorts of stresses and strife, I am not really willing to call our present situation a "total cakewalk." Read Dreher to make up your own mind. Here's where I DO agree with Dreher: He says we are all too much consumed with the "present," and that we all need to "study history." He's right about that. That actually does help! Imagine that 17,000 US soldiers would die in 1968, and 12,000 in 1969 fighting that war. What’s harder to imagine is the historical context in which these shocking events were taking place ... The country in 1958 was relatively stable, settled, and buttoned-up. A decade later, it was ripping itself apart, and would continue to do so for years to come. And Watergate was yet to come, as was stagflation. The point is this: compared to 1968-73, today is a total cakewalk. This is not to minimize the very serious problems we face, politically and otherwise. In fact, some of the moral breakdown that seemed so traumatizing back then has been normalized by our society, such that we don’t feel the pain of fracture as Americans did back then. Still, you want to talk about an American hell? It was then. 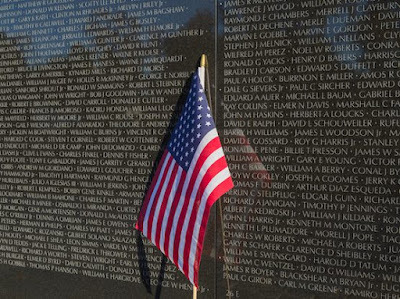 Watching The Vietnam War is like seeing the history of some other country, not our own. Yet it happened within my own lifetime. When my children are middle-aged, as I am today, they won’t have any films like this to watch about our own period of American life, because for all the corruption and decadence and foolishness afoot, it’s not like those horrible, horrible days. This is why we should study history.